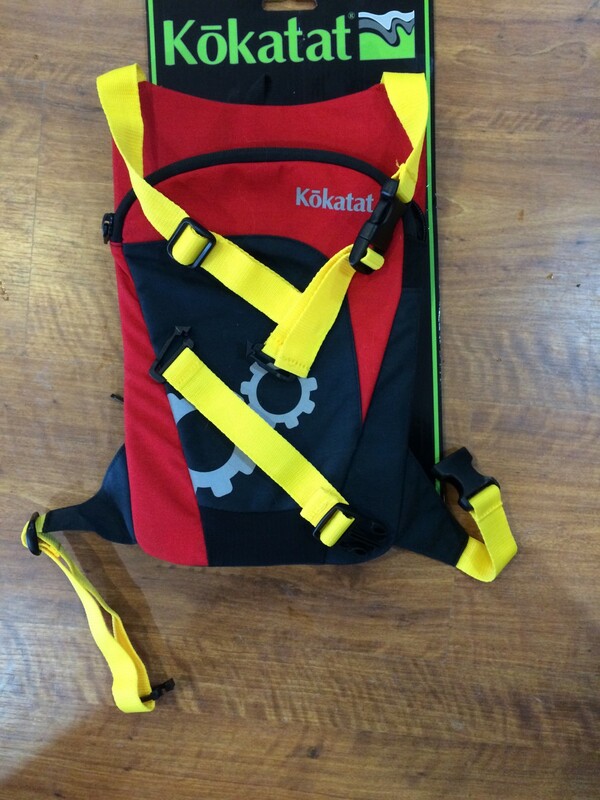 Kokatat has built upon their popular Tributary Hydration Pack concept with a innovative bit of on-person pfd add-on accessible gear storage. Here is a brief video introduction to the Kokatat Tactic Pack. Please forgive the lack of script or rehearsal. I’ll try to get another shoot in that’s a little more polished. 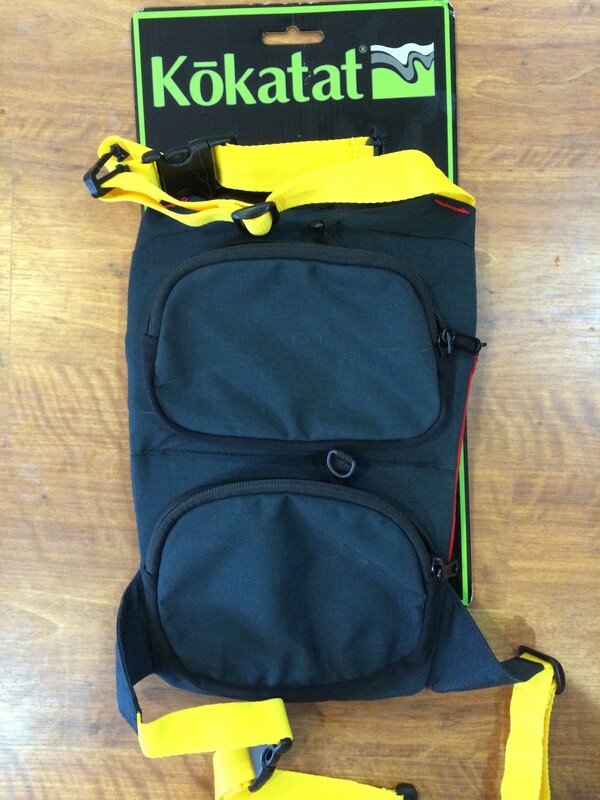 Shown here is the rear/main compartment of the Tactic Pack. 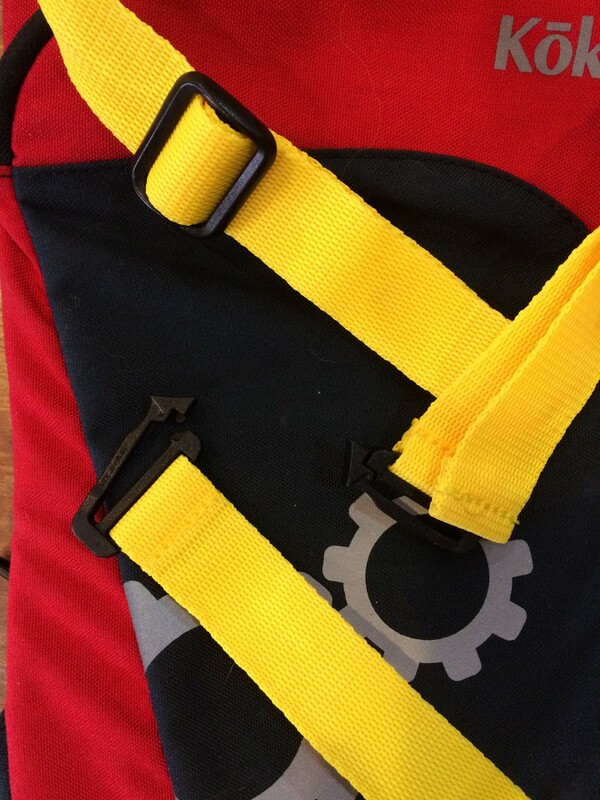 Bottom quick release strap is undone in this picture. 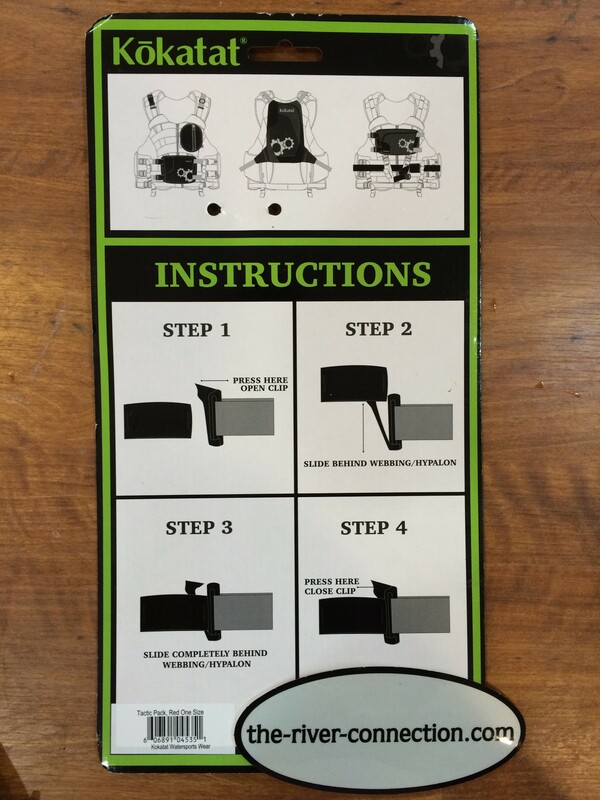 Simple instructions but let your imagination and experimentation come up with the best positioning for your needs. This entry was posted in Equipment Reviews. Bookmark the permalink. Thanks Neil. It went well enough for a first take attempt. Nice pack. Mine arrived today (thanks for the fast shipping, Marshall). The main compartment has more room than I expected and the two pockets are ample as well. Grabbed my Astral YTV and easily attached the top of the Tactic Pack to the shoulder straps. Wish Kokatat had made the lower clips a bit wider as they’re a little too short to easily attach to the lower webbing of my PFD. Not really a problem as I just ran the lower straps around my waist and clipped them together. Actually, I like that setup as I don’t have to reach behind to access the lower quick release; it sits at my hip. I think my carry-on challenges have been solved. Cool work around with using the bottom straps as a waist belt. That should make it along around you quite nicely. I’ll have to try that.